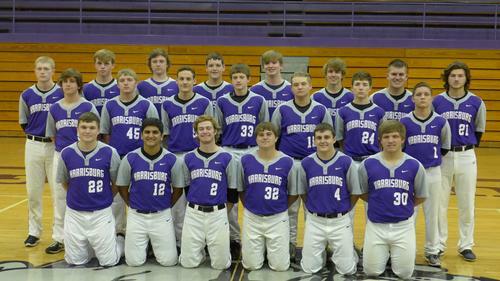 2016 Harrisburg Bulldog Baseball Kneeling L-R: Presley Gauch, Raj Patel, Austin Hefner, Britton Riden, Patrick Bittle, Kent Cletcher. 2nd Row L-R: Bronson Stanley, Mitchell Crank, Cameron Wendler, Nolan Davidson, Grayson Woolard, Noah Mayer, Devin Jaegers. Back Row L-R: Bryce Emery, Cooper Patterson, Carson Burtis, Dalton Lambert, Christian Williams, Jordan Gould, Tyler Lightner, Noah Vallette. 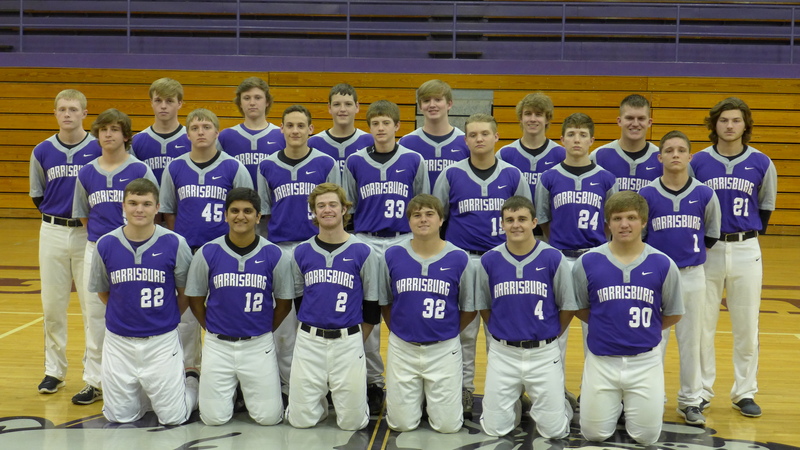 Not pictured, Head Coach Jay Thompson, JV Coach Phil Nyberg, Al Way, Tim Davis, Jake Alley, Ryan Lambert..